According to the National Institute of Aging there are more than half a billion people over the age of 65 across the globe. This has lead to a need for medical and psychiatric care on a scale unprecedented in history. In light of this increase in the global elderly population, the field of geriatric medicine has expanded and become multidisciplinary to accommodate the need of the elderly in the 21st century. This volume highlights research in geriatric medicine across different disciplines. Chapters of this volume cover public health and economic consequences of aging in USA, cognitive impairment in old age, geriatric ophthalmology, osteoporosis, sleep disorders, speech-language pathology and geriatric care. 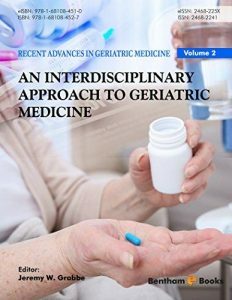 Readers – both medical students and researchers – will find these topics useful for understanding issues in geriatric medicine and can use this information to improve geriatric programs in the healthcare sector.